Bead cap, sterling silver, 4x1.5mm round, fits 4-6mm bead. Pkg of 50. Item Number: H20-2664FY Have a question about this item? Reach all your designing needs using bead caps to add character to existing beads. Bead cap, sterling silver, 5x1.5mm round, fits 4-6mm bead. Sold per pkg of 50. Bead cap, sterling silver, 5x2mm round, fits 6-8mm bead. Pkg of 50. 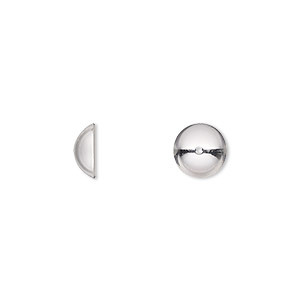 Bead cap, sterling silver, 4x2mm round, fits 2.5-3mm bead. Sold per pkg of 50. 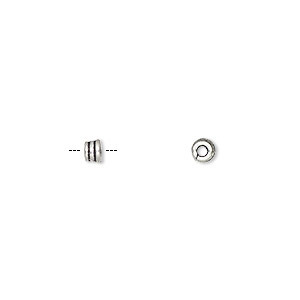 Bead cap, sterling silver, 8x3mm round, fits 8-10mm bead. Pkg of 10. 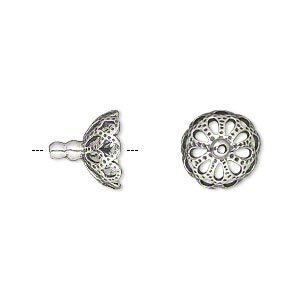 Bead cap, antiqued sterling silver, 7x3.5mm round, fits 6-7mm bead. Sold per pkg of 10.